I am taking bookings for After school childcare for September 2018. Please use the contact form if you would like me to send you a form or if you require any more information regarding my childminding service. Spaces are limited as I will only be offering 5 places per day so do get booking! As well as daily Childminding I also offer a babysitting service, or ‘Child sitting’ as the children prefer to call it. I have noticed when looking at other babysitting services the extortionate rate that some babysitters charge families. Yes, of course I want to earn some money, but it must be realistic. How can parents afford an evening out when paying a babysitter up to £10 an hour? Yes I am an experienced childcare practitioner with many years of experience caring for children in different situations but this is ‘child sitting.’ The role involves what it says, sitting in someone else’s home making sure their children are kept safe, usually whilst they are sleeping. I do not expect to come armed with activities to entertain the children and neither do the parents expect this. I usually come with a bag full of work that I can get on with in relaxed and quiet environment. I think my rate of £6 an hour is a fair amount to charge, especially if I am just required to do the above. This amount would increase to £7 for the following reasons : if it is an early babysit and the children require more ‘entertaining’; If a baby needs putting to bed; if I have to drive out of my local area and finally if I am required to sit after midnight. I hope that by keeping my rates at a sensible amount more parents are able to have some child free time together at an affordable price. At the beginning of March I had my Ofsted inspection. I was very happy with the very positive comments in my report. Even though people tell me I do a good job, it was good to get the affirmation from those at the top!! Sometimes the best part of my job is watching unplanned events taking place, often child led, this is exactly what happened today. There are so many things to fit in at Supershiny Childminding this week including Mother’s day, World Book day, St Davids day and an Ofsted visit! I had planned some Mothers day activities for today. 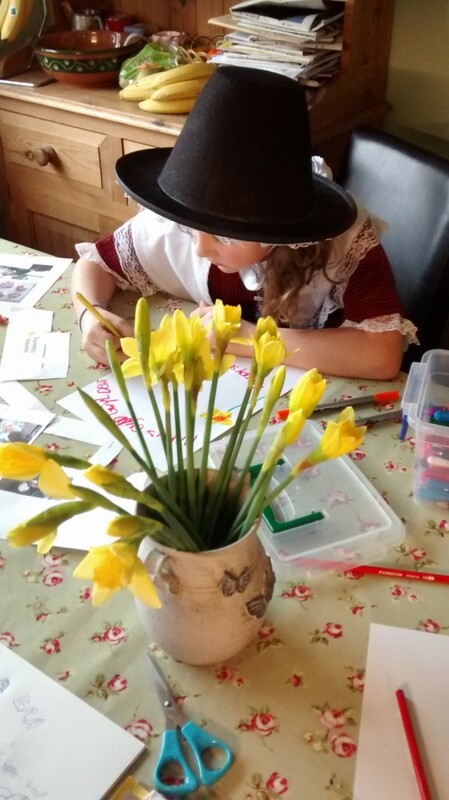 Once we got in from school one of my mindees announced that she had brought along a traditional Welsh outfit and asked if she could go and change. There she stood in her costume answering questions from the other children. Why are you wearing that? How do you say that in Welsh? This led to lots of discussions about St Davids day. She then made a lovely poster about it and I printed off some photos. Great job!! 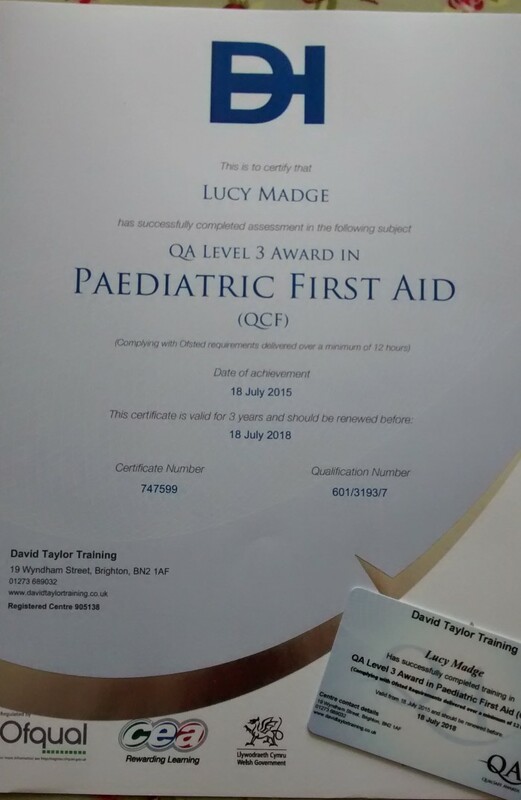 I am pleased to announce that I recently passed a Paediatric First Aid course. I am required by OFSTED to renew this every three years.